With today’s larger and larger games, operating systems and file formats, more storage space is sometimes a need, rather than a desire. Whilst most cases have a few drive mounts, sometimes we need more. More! 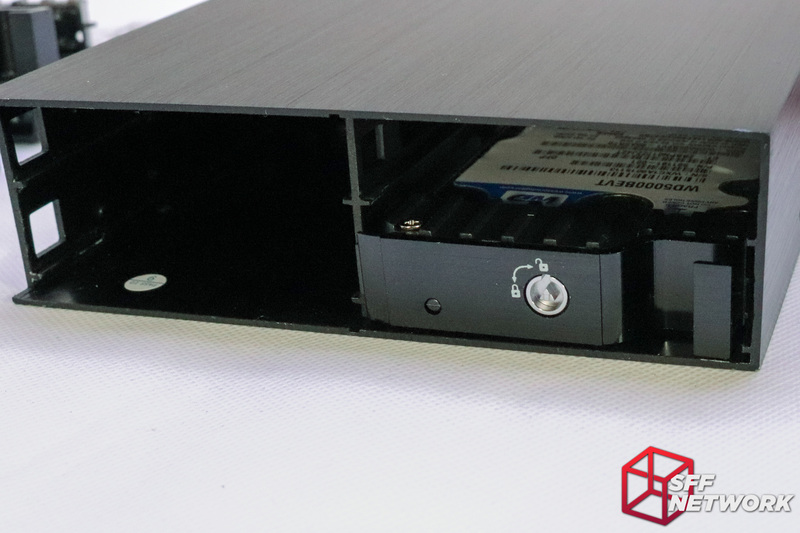 Enter the SilverStone FS204, a 5.25″ bay device to finally put that empty optical drive bay to use! 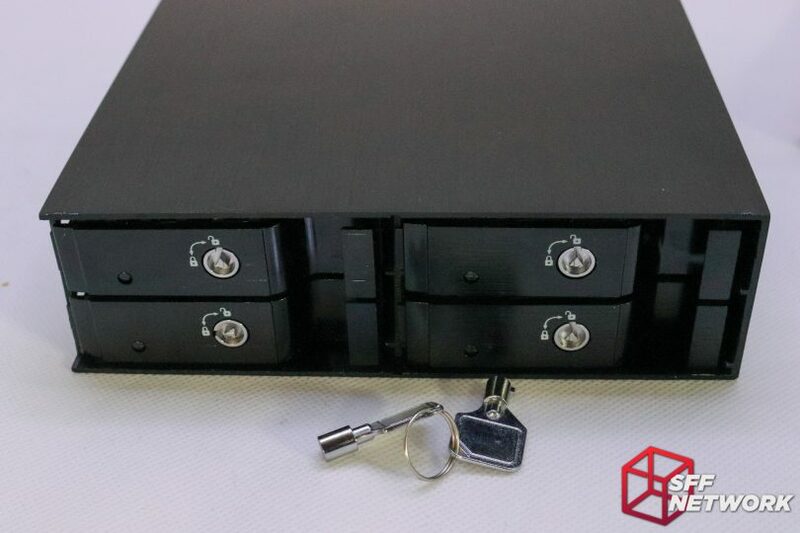 Fitting in four 2.5″ drives, this single bay device offers a semi-premium option to the market segment, with an all aluminium construction, black anodising and lockable drive sleds. Let’s see if the FS204 fits the higher price point, or if it’s all just hot air. 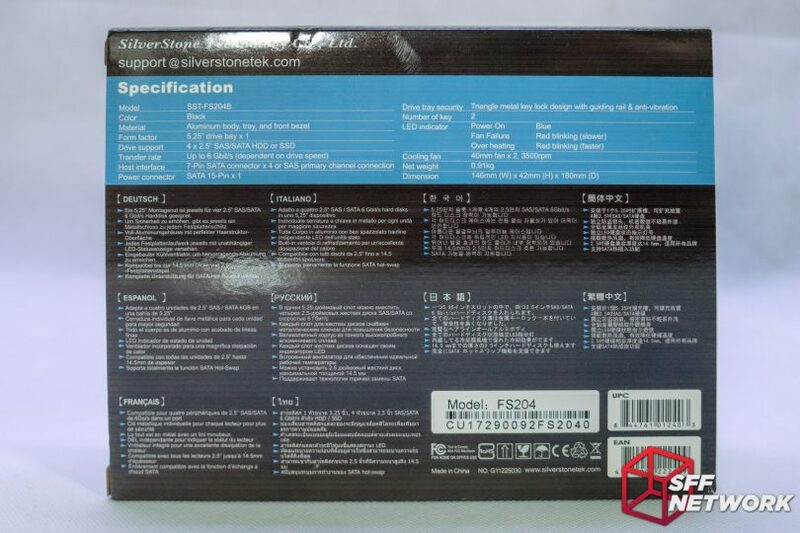 A time of writing, the SilverStone FS204(B) is retailing for US$66.71 at Amazon.com. Glossier than SilverStone’s more recent product packaging, the FS204 is an older product – albeit still very much in production. This is very much a case of what you see is what you get, SilverStone has eschewed flashy graphics for a more “this is what’s in here” approach. The specification table above has been sourced from these specs! Inside the glossy sleeve – a white box. Inside a layer of shrinkwrap lies the unit itself, as well as the documentation. 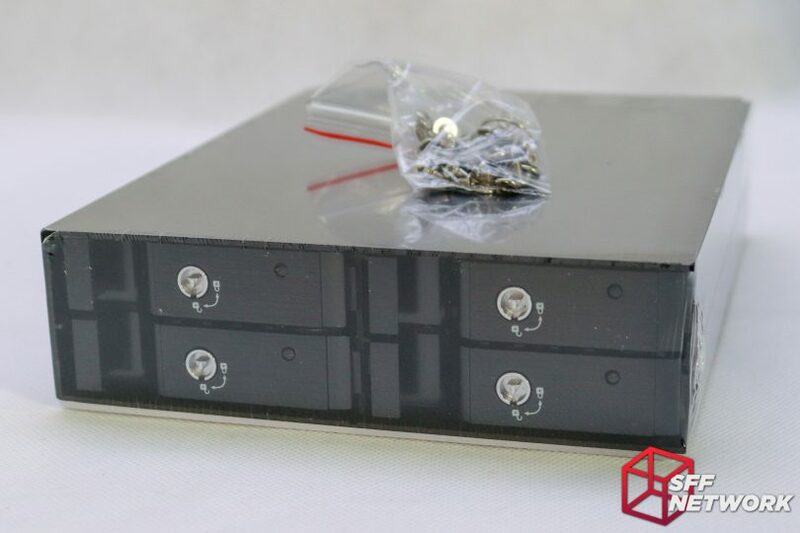 Two layers of cardboard and a layer of plastic – the anodized black coating is well protected. The manual is exactly the same size as the FS204. Nifty. De-wrapped, we have the FS204 in hand. 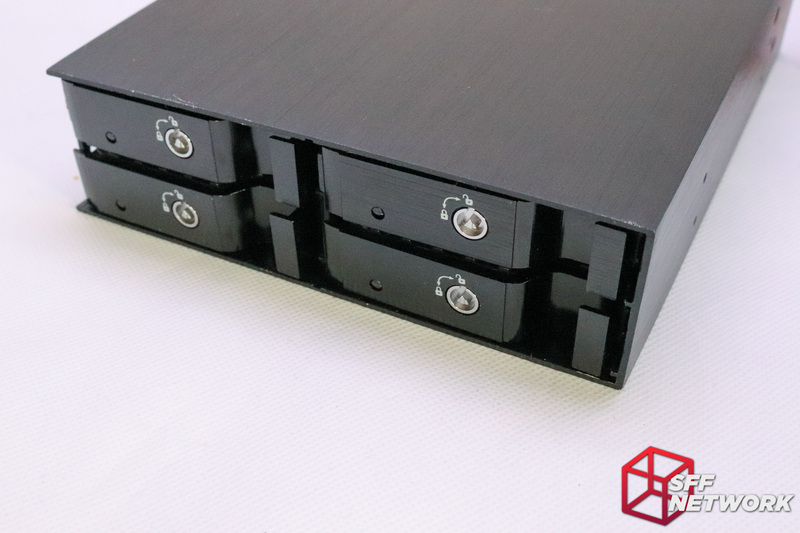 The device takes four 2.5″ form factor devices (be them HDDs or SSDs or hybrids) and mounts them in a single 5.25″ bay. 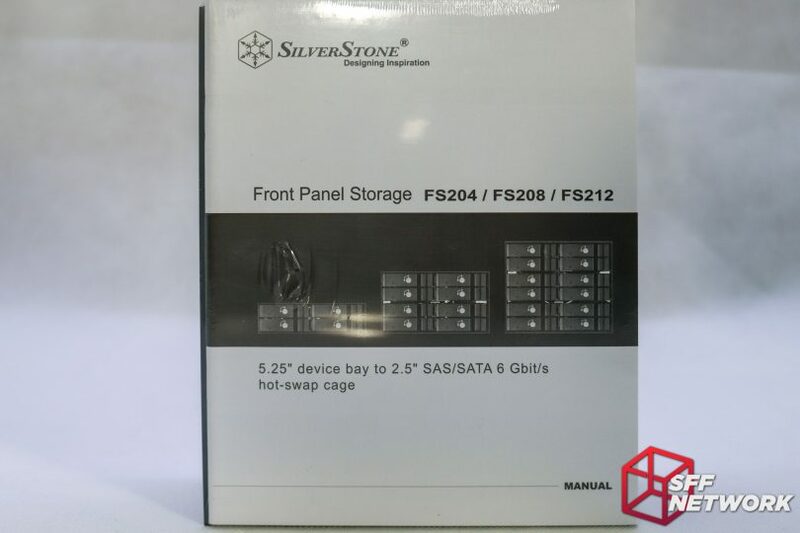 SilverStone also offers the FS208 and FS212, holding 8 and 12 drives in two and three 5.25″ bays respectively. 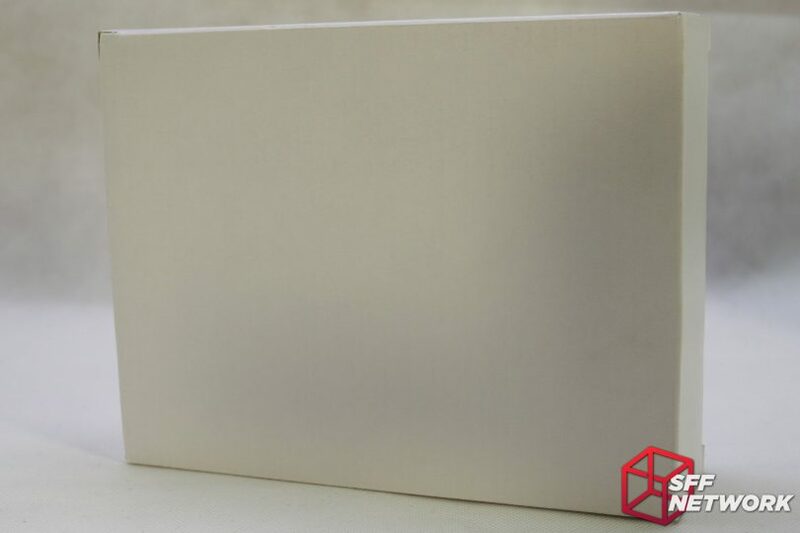 The surface finish on the product range is a robust black anodizing, with a “hairline” or brushed texture – which is more forgiving of fingerprints than a flat or gloss black. Notable on each drive sled are two features – a LED status light and a keylock. The keylock isn’t the most secure locking mechanism in the world, it’s more designed to ensure you don’t pull a critical drive out! The status LED on the front of the mostly aluminium drive sleds is actually a plastic light path, running to the rear of the chassis. The sleds are effectively “dumb” with no circuitry embedded. Mostly aluminium? The base and lever are aluminium, however the lock body and the larger black piece are plastic. 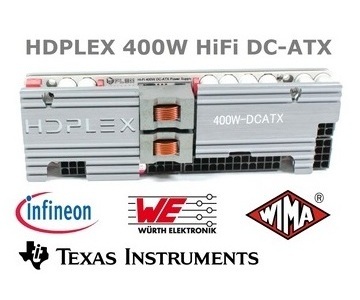 However, the entire assembly is incredibly robust, stronger than most rackmount drive sleds I have handled in the past, be them from HP, IBM or Dell! At the rear of the FS204 are the SATA DATA (hah!) ports, a singular SATA power socket, a pair of 40MM fans and a switch. The switch enables or disables the flashing red drive activity LEDs. When powered, each drive shows a static blue LED through the aforementioned plastic light path to the front panel, turning purple when the drive is accessed. It’s this access light change that the switch disables. 40MM fans.. grumble grumble. Well, I thought so, until I powered on the unit. These are the quietest non-aftermarket 40’s I’ve had the pleasure of encountering. The pair of fans are Young Lin Tech Co Ltd DFS402012L (PDF Datasheet), a sleeve bearing based fan with a 5000RPM max speed, and rated for a surprisingly quiet 23.46dBA while pumping out a max of 6.56 CFM. Measuring in at 40 x 40 x 20MM, the fan area has room for upgrades, if you are so inclined. The drive sled appears to be an aluminium extrusion, all the better for wicking heat away from your drives! Your chosen drive sits on the sled, and then is screwed in from the bottom. As shown here. There are two spring steel clamps – one on each side of the sled – that help mitigate some vibration. Whilst I have chosen a SATA drive here, remember that SAS drives are also compatible, assuming you are using a SAS controller. A fair bit of machining takes place on each of the trays, adding to a very premium feel to the FS204! 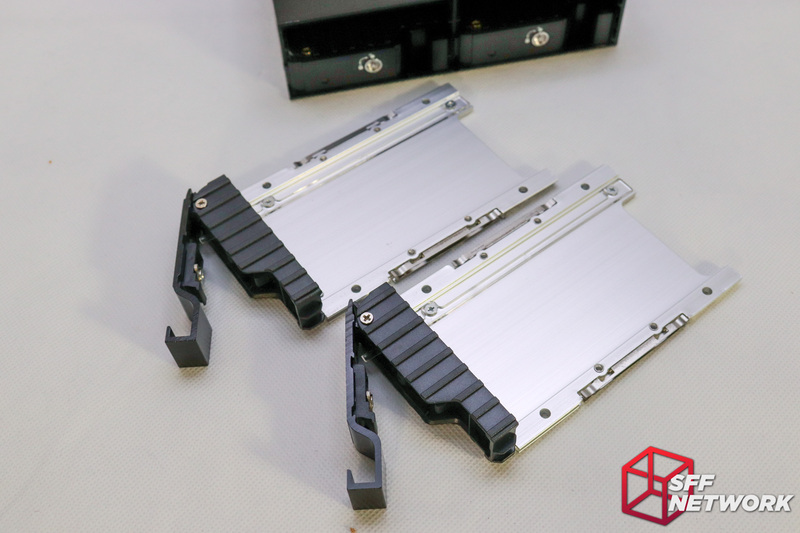 The sleds slide into rails in the chassis, yet another aluminium extrusion. Note that I did find it easy to miss these “rails” and pop the sled in on an angle. After the drive is slid in, it is retained quite solidly with the retention mechanism. From here, you can use the included triangle drive key to “lock” the drive sled into place, preventing inadvertent removal. 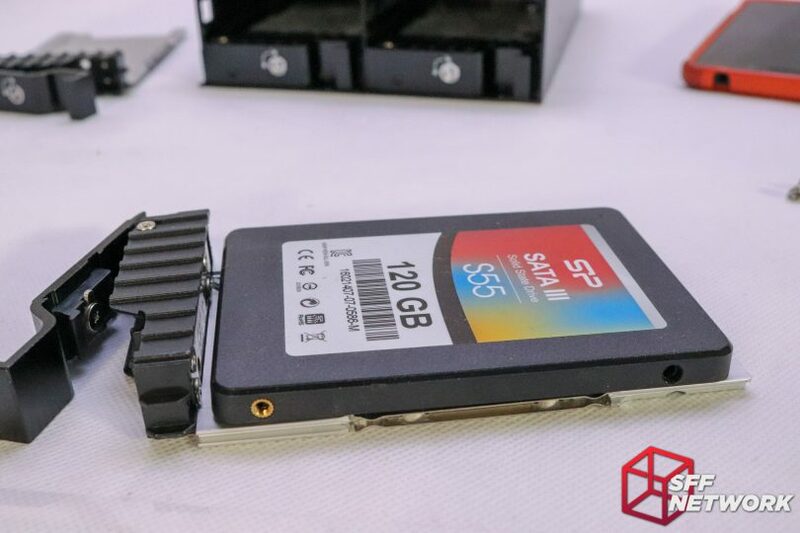 Yes, SSDs can be mounted on the sleds as well. Spot anything missing? 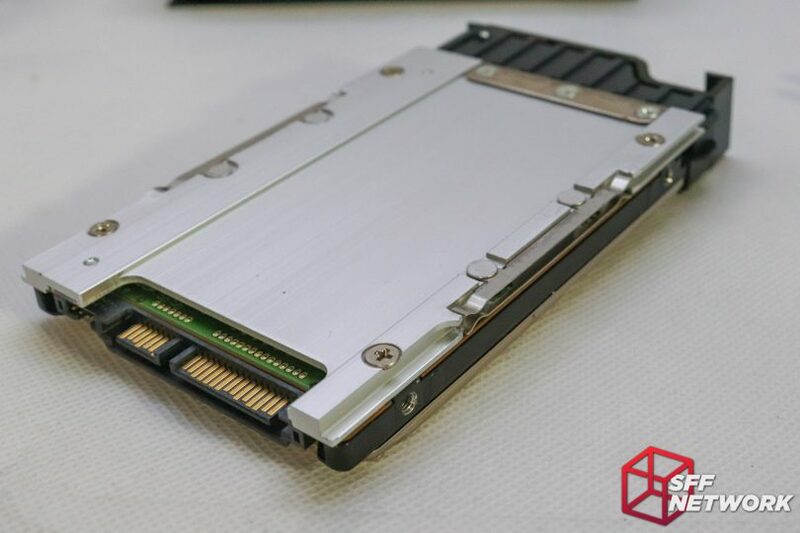 That missing brass insert on the SSD fell out in this drive’s last home – the SFF Network Minecraft Server. The old server got so hot that the insert lost it’s grip on the plastic drive shell. Yeouch! Any 2.5″ drive with a SATA or SAS connector, up to 14.5mm high, can be fitted into the FS204, which is a huge compatibility range. 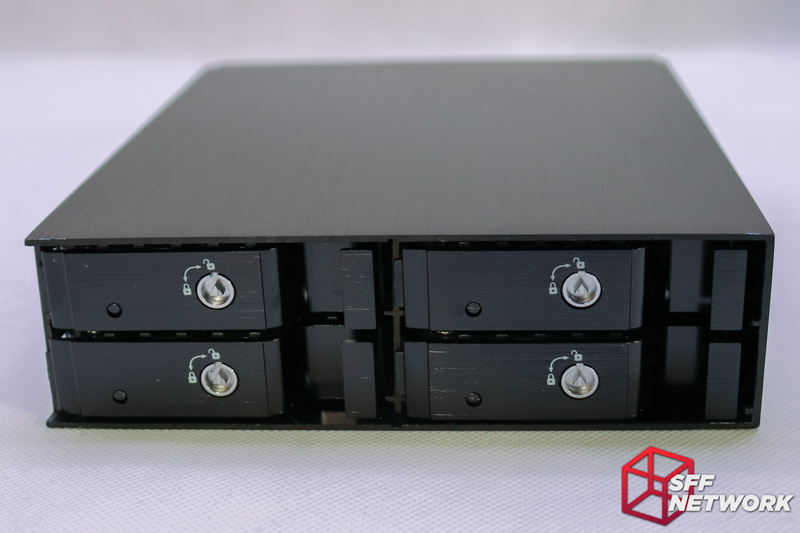 Whilst other solutions may offer a more storage dense configuration, the ability to use thicker drives can sometimes outweigh the advantage of the competing products. Two drives inserted. One thing I did notice is that the fronts of the sleds can sit at different depths – the empty sleds sit further back. Four drives in, and one (bottom left) locked. The included keys turn the locking pawl, securing the drive. 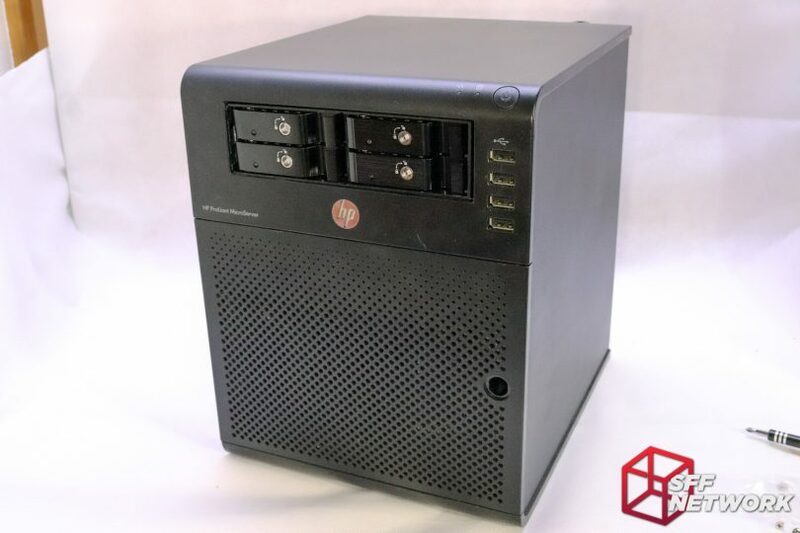 May as well throw the FS204 into a proper server of sorts – my HP Proliant MicroServer N36L. With the addition of a HP P400 SAS/SATA RAID card, I can now house 8 drives in this system! Not bad for a 14.6L server. With the fascia reinstalled, the SilverStone FS204 looks right at home. Well, this was interesting. No changes in drive read/write speeds were noted, however the drive temperatures are the interesting point here. Hot drives (and cold drives) reduce life span. Hard drive manufacturers specify temperature ranges in which their drives perform at their best as to reliability. Whilst a Microsoft funded study (PDF) did find correlation between drive temperatures and failure, both Google(PDF) and Backblaze found otherwise. 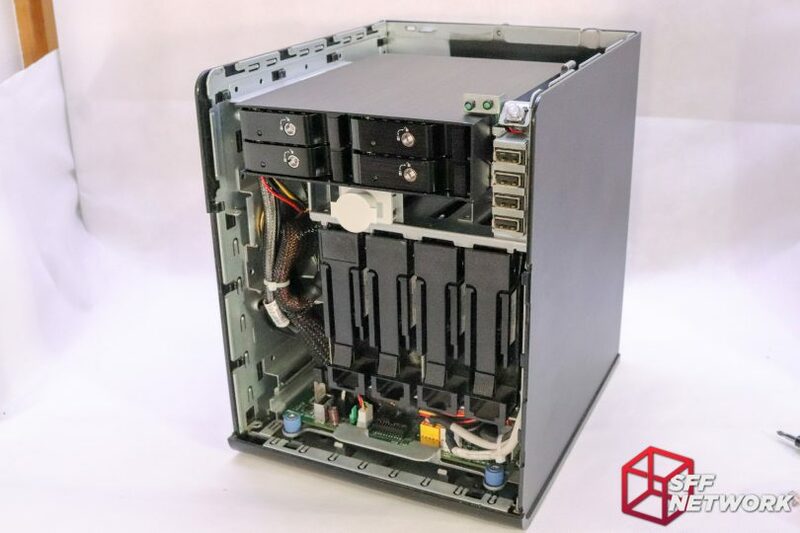 The drives I installed into the FS204, a triplicate of WD Blue 500GB 2.5″ drives, are rated to between 0 and 60 degrees Celsius, with temperatures outside this range affecting longevity. 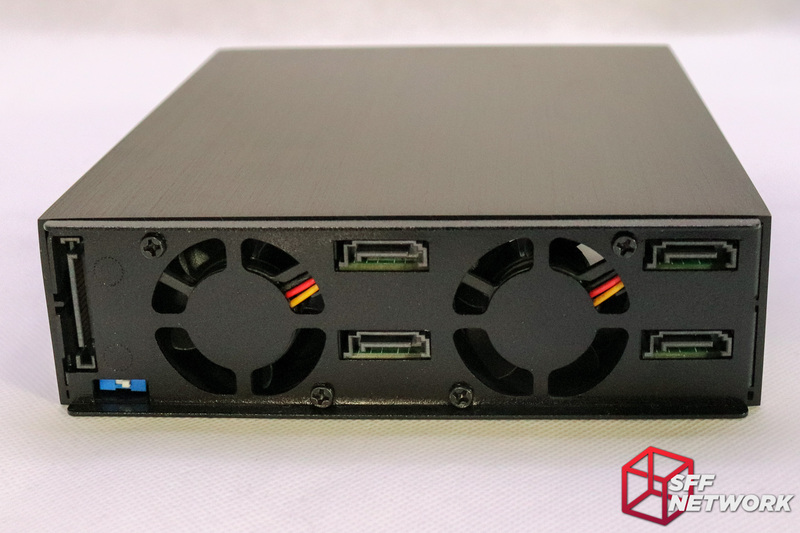 With an internal chassis temperature of 40 degrees, my HP Microserver isn’t the coolest server in the world, however, it means that a drive reported 3 degree increase over ambient under sustained drive writes, the Silverstone FS204 performs remarkably well. 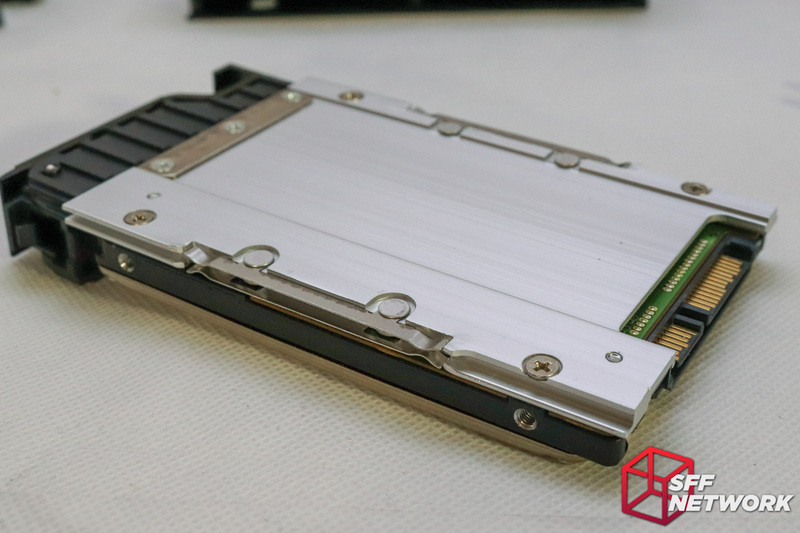 Even the plastic shell SSD reports a 4-5 degree increase over ambient. Noise? Well, It’s a lot quieter than expected. 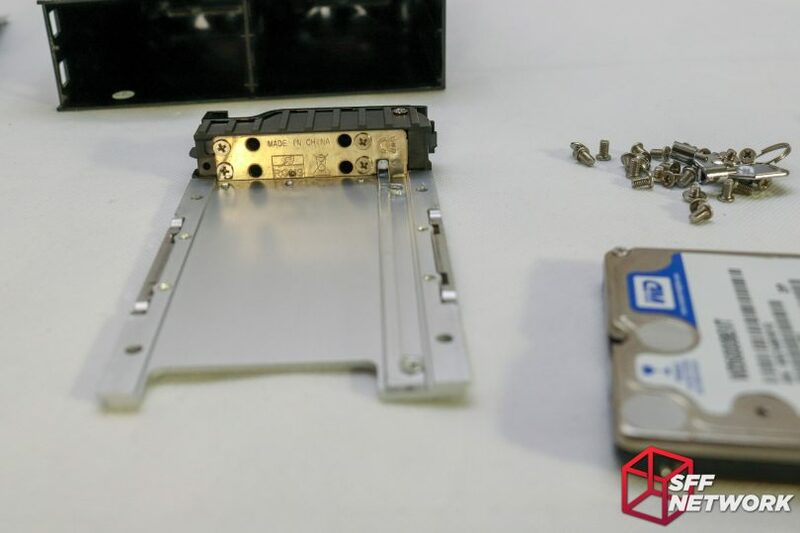 I noticed no drive vibrations passing through to the server chassis. The 40MM fans live up to their 25dBa, or thereabouts, rated noise, with the fans being drowned out by even the drives installed. On their own, the lower (than most 40MM fans) 5,000 RPM fan speed lead to a less whiny, more airflow noise situation, which is ideal considering the limitations of the fan size. In my opinion, replacing the fans with quieter units is not needed unless the drive bay is sitting in a very quiet room, in a silent system. 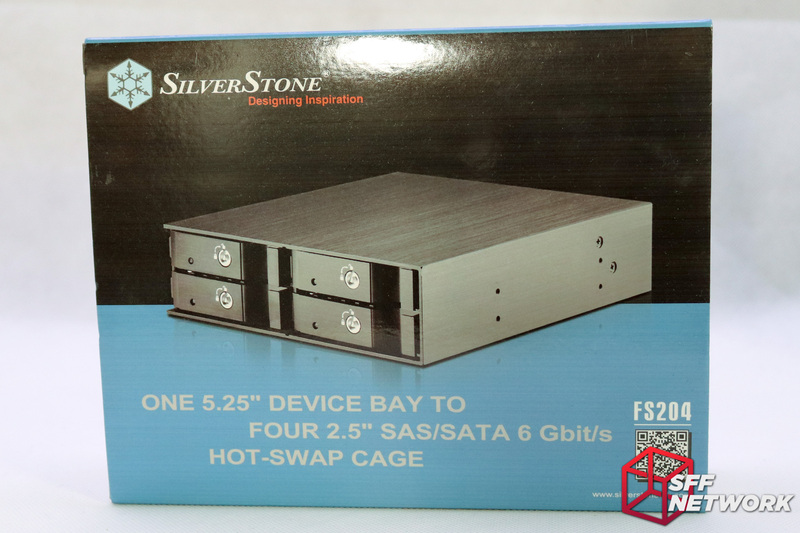 Whilst sitting at the premium end of the hotswap drive bay market segment for a 4 drive capacity, the SilverStone FS204 offers a remarkably high quality product for something most users would consider to be “just a drive adapter”. Utilising aluminium extrusions in bulk, the design and implementation of the FS204 leads to cooler running drives, in a relatively quiet enclosure. Aesthetically, it’s a very subtle design, so using it in a home theatre PC (with SSDs, because HDDs in a HTPC is just.. ugh), would not look out of place. Physically, the unit is well built, with no quality control concerns. I give the SilverStone FS208 my Recommendation Award! Ability to mis-mount drive sleds a bit – a little frustrating.